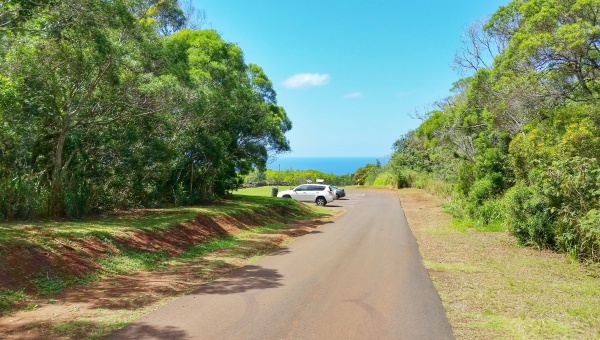 The Puu O Mahuka Heiau is an easy side trip to make when you are on the North Shore of Oahu with a car. 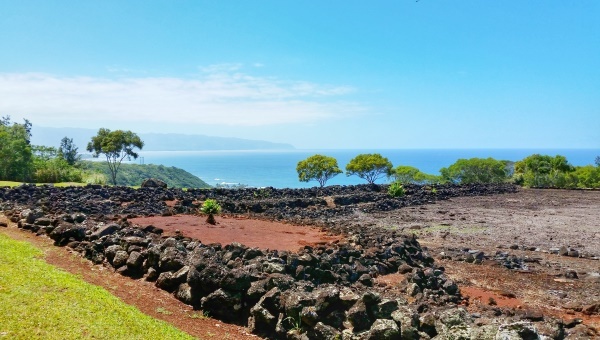 So, what is a heiau? 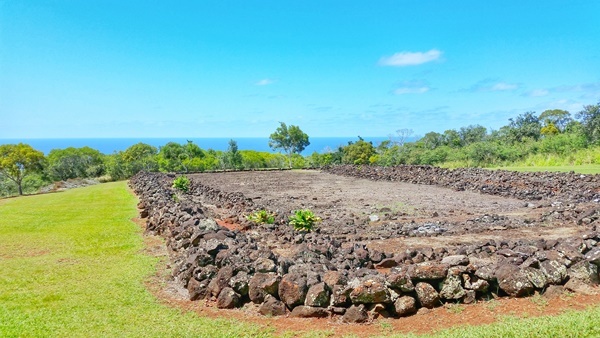 In short, a heiau is a Hawaiian temple and it represents a piece of Hawaiian history. Native Hawaiians used them as places of worship and sacrifice. If you’ll be spending more than a few days in Hawaii, consider making it a point to see at least one heiau. Or, if seeing a bit of Hawaiian culture isn’t enough to motivate you to visit the Puu O Mahuka Heiau, go for the some of the best views on Oahu! The Puu O Mahuka Heiau is a Hawaii state historic site which means that it’s a part of the Hawaii state park system. It’s also a registered national historic landmark which means it’s a part of the national park system as well. The road you’ll take to get to the heiau is just near Shark’s Cove, a popular snorkeling spot on the North Shore. 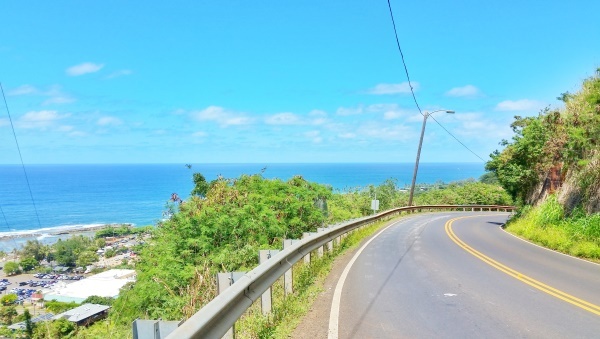 You’ll be driving up a hill which means scenic views! It’s about a 5 minute drive before you see the sign for the heiau, and then you’ll turn down that road. 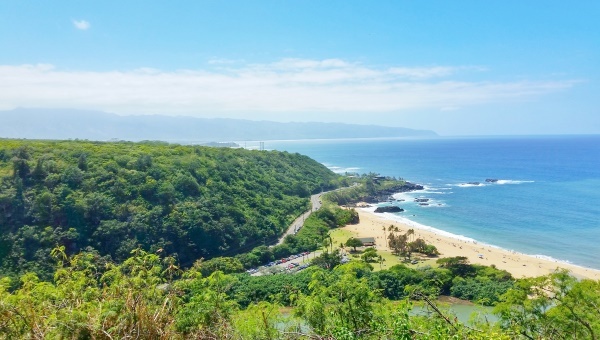 Once you get to the site, you’ll see the heiau immediately, as well as more scenic views of the North Shore, including Waimea Bay! 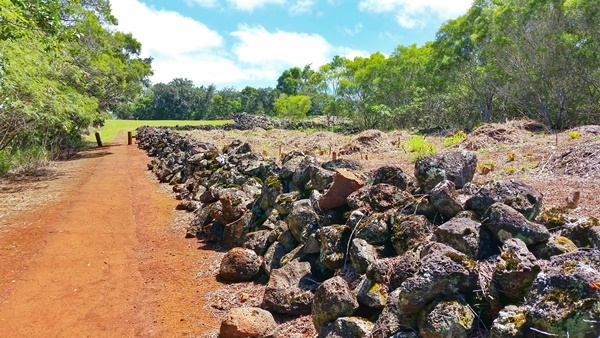 There is a trail that goes around the heiau that is an easy walk of 10-15 minutes. You can think of it as a nature walk on the North Shore. HAPPY NORTH SHORE HEIAU VISIT!